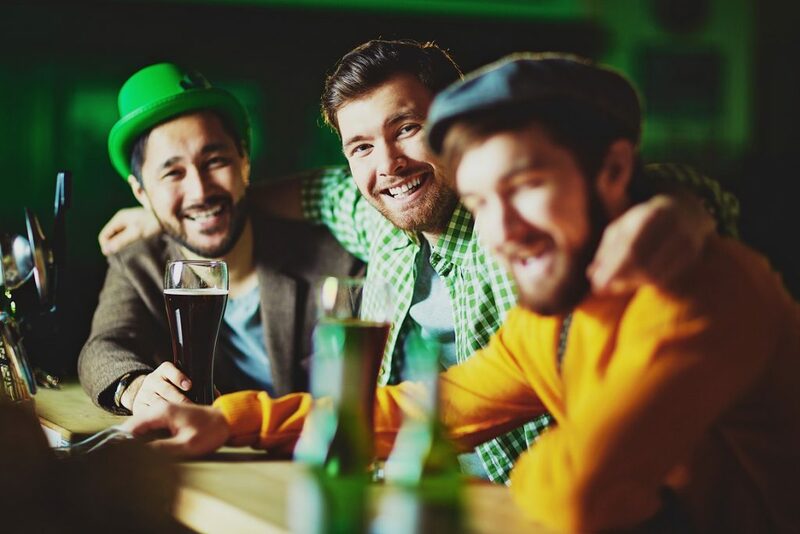 St Patrick had one goal – just like many small businesses. And while you’re probably not as interested in bringing Christianity to Ireland, you can learn a lot from this patron saint. These days, St Patrick brings up images of a sea of green, pints of stout and happy Irish crowds dancing the night away. But the man behind the celebration on March 17 led an interesting and exciting life full of stories, experiences and challenges. But no snakes. Like many small businesses, things didn’t start off well for St Patrick, who was known as Maewyn Succat at the time. Born into a religious family (his father was a deacon and grandfather a priest), he didn’t plan to follow in their footsteps. But at the tender age of 16, he was kidnapped by Irish pirates and held captive in Ireland for 6 years, working as a herder. It was during this time that he began to embrace his spiritual past. It would have been a tough and hard-working period for the young man, but through resilience he found a way through. Not only that, he used the period to refocus his goals. Key takeaway: As a small business, the first years are often tough and you can sometimes come through as a very different business. As his relationship with God slowly developed, he began to hear voices – one of which told him that his time with the pirates was almost over and a ship would take him away. Acting on this advice, he escaped his captors and found a boat willing to take him. But this didn’t necessarily mean things would start to turn for him. After 3 days aboard the ship, he was left at an unknown port and there, spent the next month wandering lost through the countryside. He walked for over 200 miles but never lost faith. His patience was rewarded as he was eventually reunited with his family. Key takeaway: As a small business, you might often feel like you’re lost in the wilderness and that you just want to abandon it all. A little patience will see you through to the other side. The tough times never put Patrick off his main goal – to help spread Christianity through Ireland. After escaping the pirates and surviving 28 days lost, he was finally back on track. Heading to France, he entered the priesthood. After many years, he was sent to Ireland by the Pope to spread the ‘good news’. Again, it didn’t go according to plan. He met great resistance upon arrival. But, by maintaining his focus and keeping going, Patrick, along with various other missionaries, helped Christianity spread across the country. Key takeaway: Small businesses can often lose focus over time – it’s worth looking back every now and then to what you originally set out to do. But what about the snakes? Well, there are a number of stories about St Patrick that are just rumours. In fact, apart from the basics, a lot of his life is hearsay and gossip. For the record, there haven’t been any snakes in Ireland for millennia, he didn’t use the shamrock to describe the Holy Trinity and he wasn’t the only person bringing Christianity to Ireland – the Romans played a large part. Key takeaway: In your work, you’ll hear many rumours about you and your rivals – get to the truth of the matter before you act. This entry was posted in Blog on 17th March 2016 by Julie Tucker.